You'll be able to use your cell phone in another 30 Manhattan subway stations beginning today. Probably. Anyone using subway stations between 18th Street and 96th Street on the Manhattan's West Side should be able to go online or have a conversation on their AT&T, T-Mobile or Transit Wireless phones. It is unclear when other networks, including Verizon Wireless, will come on board. 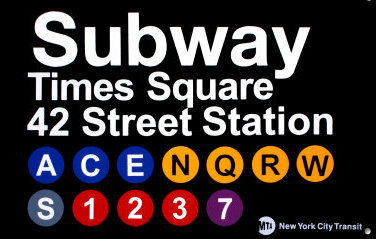 It's all part of the completion of Phase 1 of the grand plan to provide wireless service to entire subway system by 2016. Phase 2 is expected to focus on wiring stations in Queens and Midtown Manhattan. The East Side of Manhattan and the Bronx will follow.